The purpose of project documentation is to communicate the scope and goal of a project to stakeholders and reviewers. The documentation needs to be done carefully so that the idea cascaded to the clients is clear. 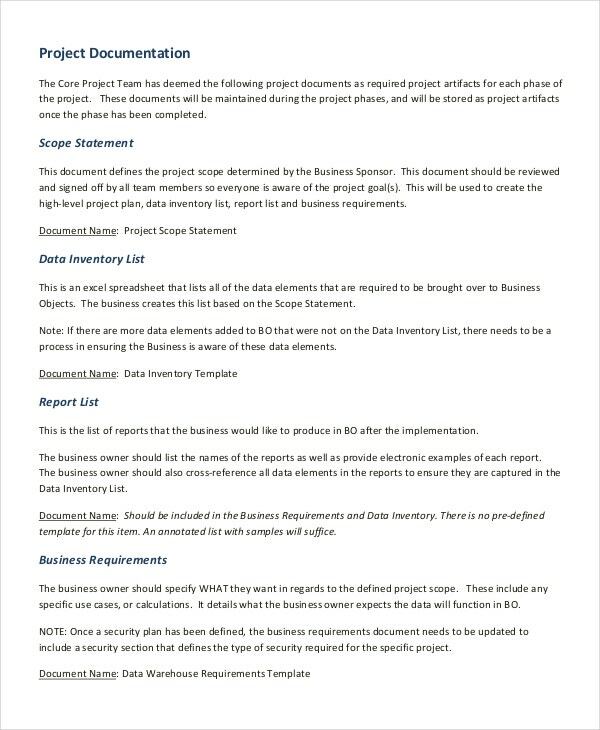 A project documentation template provides a basic format for producing these information. The formats held reduce the risks associated in creating a new format, as they are mostly designed by experts. The project documentation template available with us come in a number of layouts and file formats, like Excel, PDF and Word. 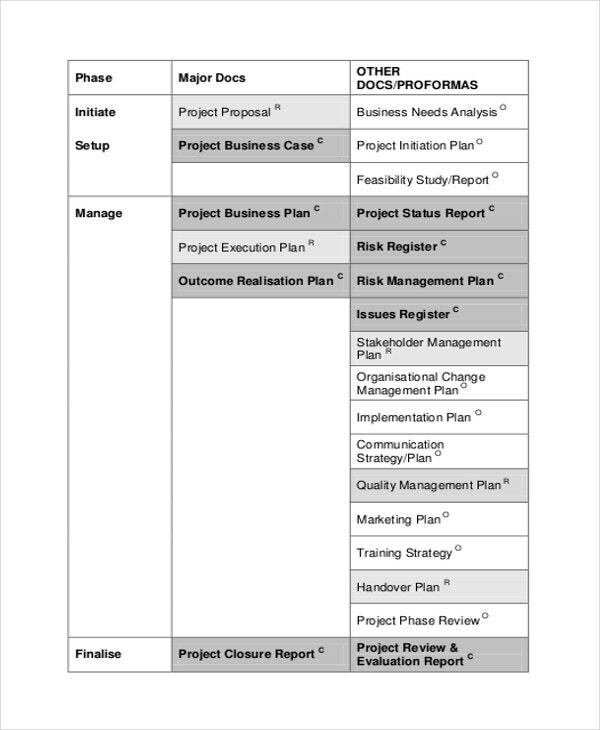 You can also see Project Evaluation Templates. It is easier to focus more on project documentation by using a template than trying to format a new one.Project Documentation is used to explain the necessary documents used in the project. It contains details regarding your project’s objectives, key points, and much other important information. It is a necessary evil while working on any Project Templates. 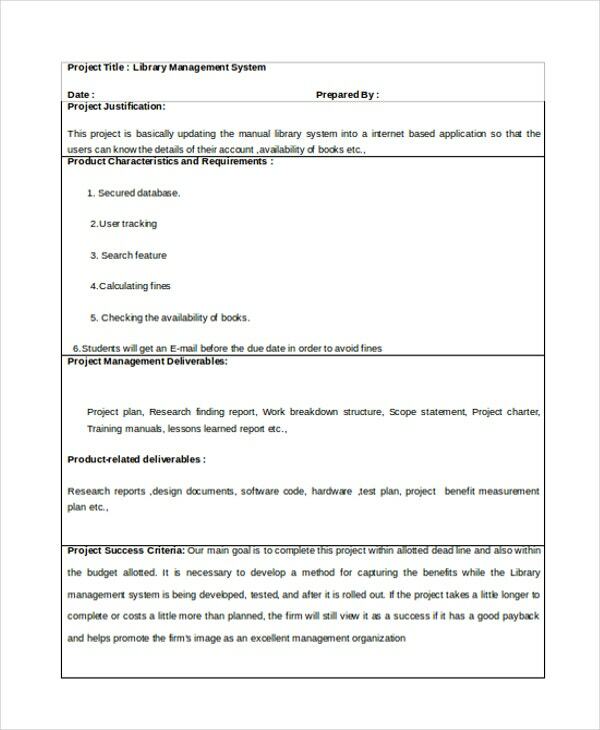 This template is used to look after the management in a library. It contains various details such as transactions made, the details regarding the staff and the management of the library and also the issuing and returning of the books. It also keeps details of the new books and the books available in the library. 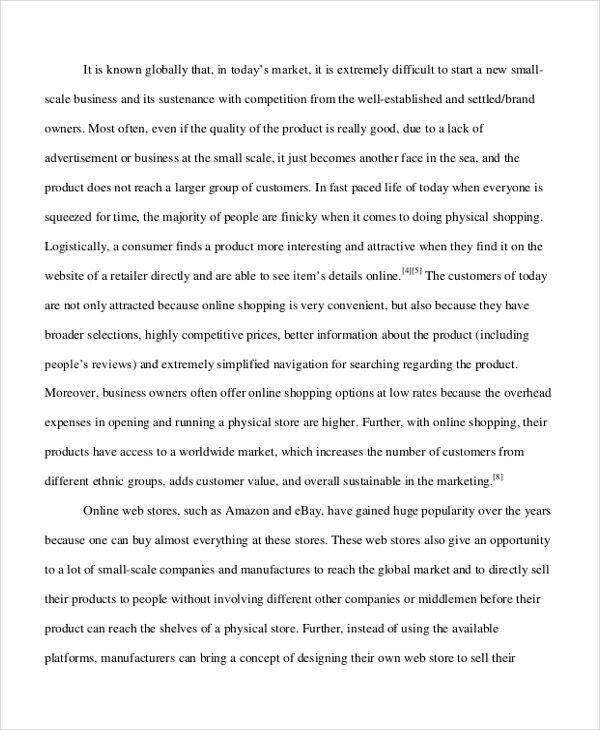 Online Shopping Project Documentation template manages the shopping quickly as it contains the fast-speed system through which the inputs and the details are stored easily and the billing and other important purposes are done more effectively. 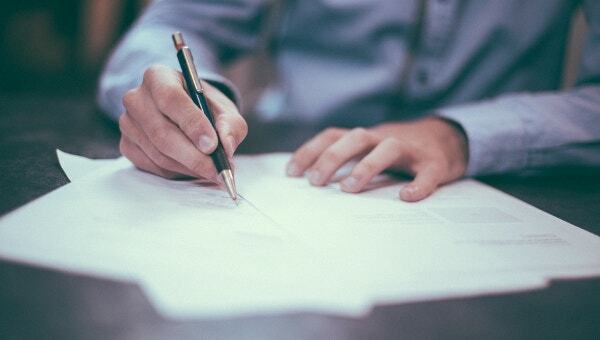 > Why do I need Project Documentation Template? 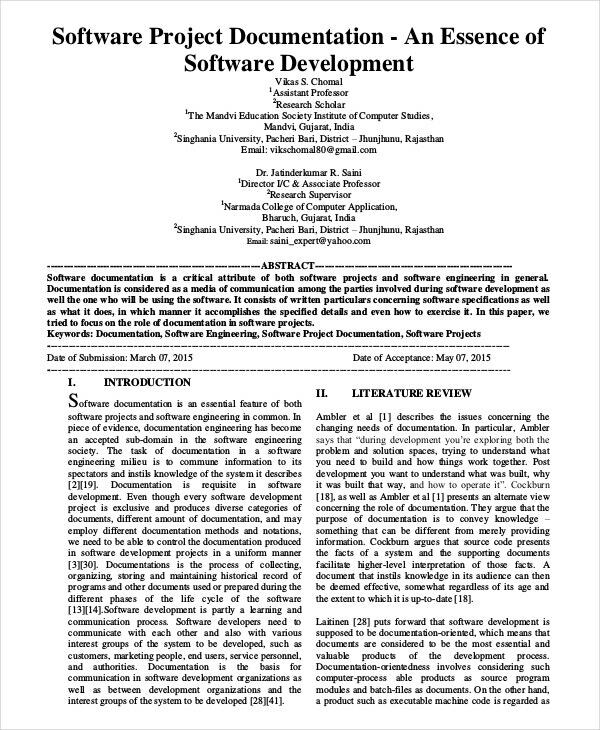 Project Documentation template gives the details about the project in work using the necessary documents involved in it. The documents can help to make the project more effective as they contain various information such as objectives, criteria, expected outcome etc. You can also see Project Update Templates. 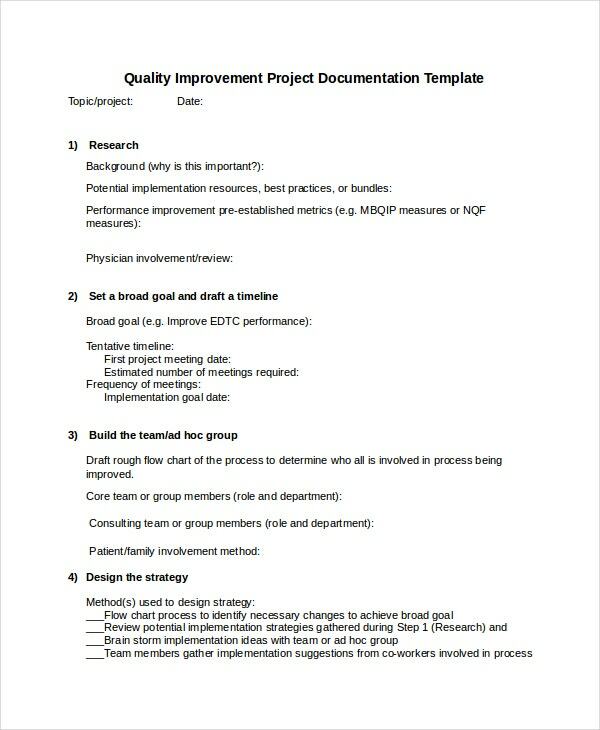 > How to create/make Project Documentation Template? You don’t need to create these templates as we have already wide range of Project Documentation templates with us. All you need to do is to select your desired format and the rest is on us. You can also request the changes and we will make it for you for your convenience. You can also see Project scoreboard Templates. All these templates are available in PDF and DOC formats. You just have to select your favorite template and your desired format. They are quite affordable and have high quality as well as quantity. Also, you can customize the templates as per your wish and can also print them out in the resolution of your choice.